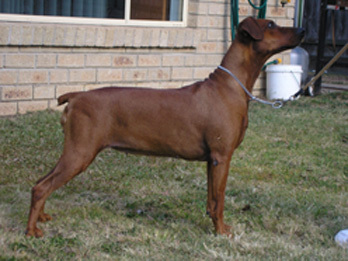 Masterkarn has amazing Hip/Elbow results - some of the best in Australia. 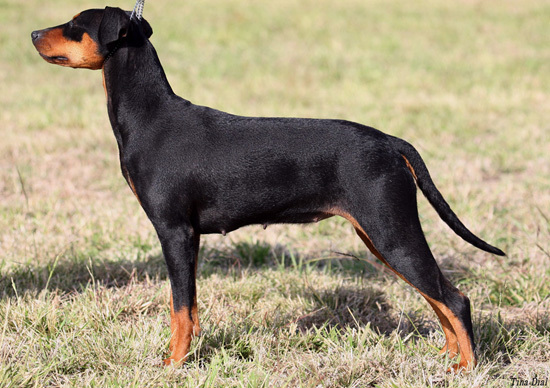 We pride ourselves on prioritising the importance of good hips, elbows (tested once only) and eyes (tested yearly for breeding stock). Governed by a recessive gene these ones are hard to breed out once set into the breed. 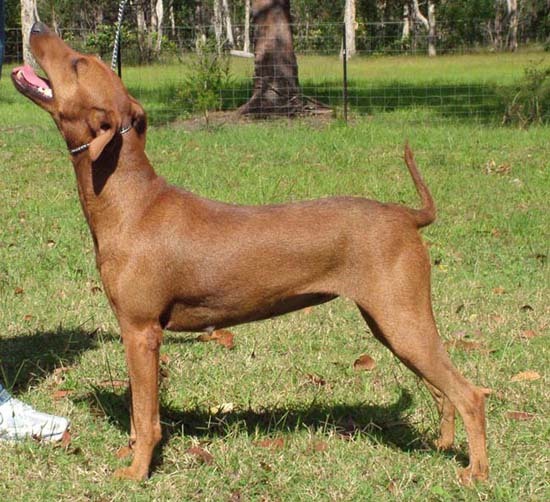 Most genetic recessive genes are difficult to clear from a breed or any dog completely but can be improved with careful breeding and consideration of health issues, hips, elbows, heart and eye issues are under this umbrella. 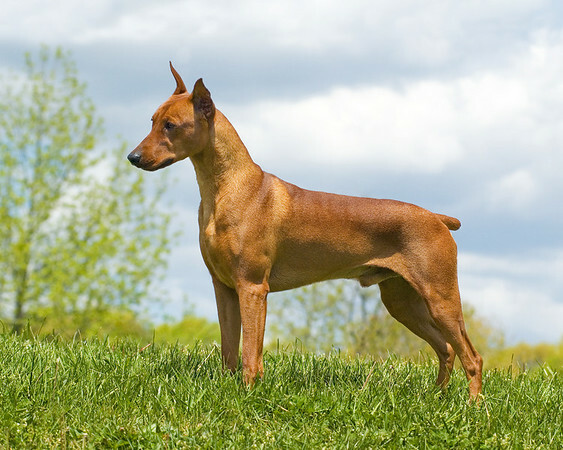 We have no heart issues in our dogs to our knowledge in German Pinschers. Our scores for Hips and Elbows and Eyes are very good scores. We have no eye problems in our dogs. 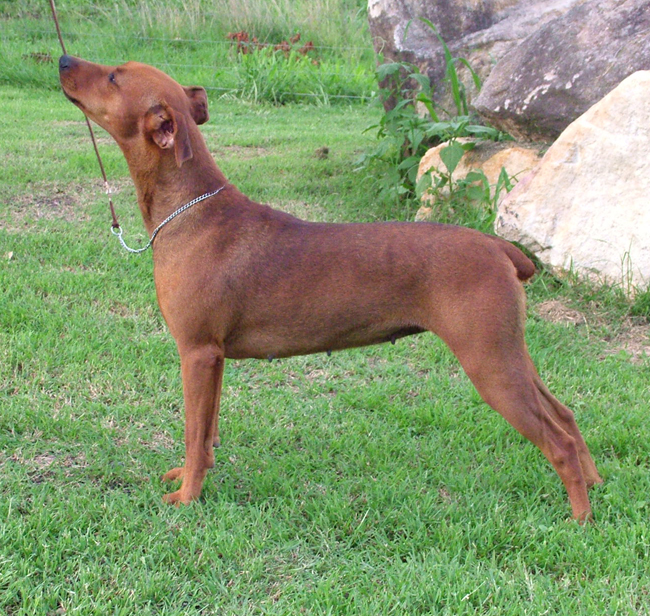 It is a fallacy that hybrids (cross breeds) do not have health issues. 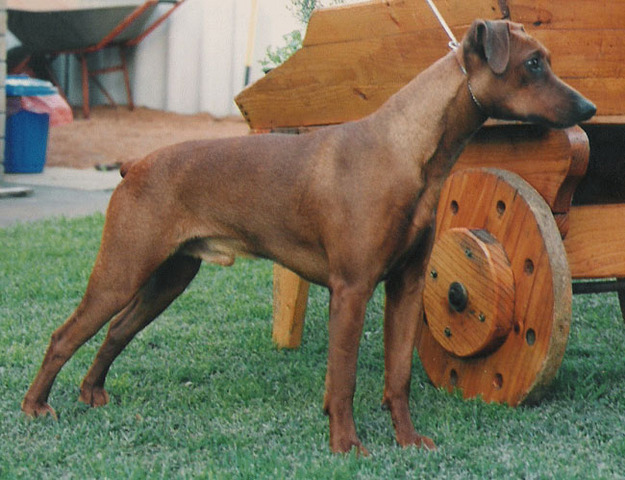 vWD in German Pinschers and Dobermanns is the mild type 1 and is a dominate gene therefore easy to breed away form with good breeding practices and care especially with regards to German Pinschers. 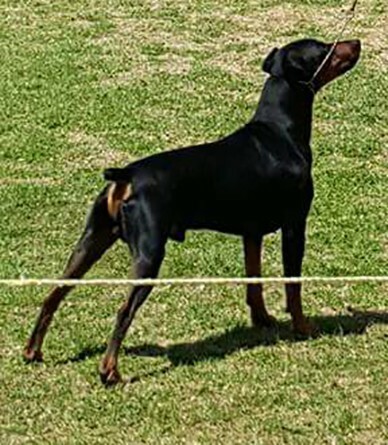 This is really an annoyance rather than an issue in this breed and causes no real health issues, dogs have not been known to bleed out with this issue in German Pinschers nor Dobermanns if kept in check and no affected dogs are used in breedings. 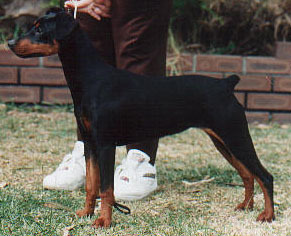 Having said that we don't want to breed incestuously therefore due to the rareness and isolation of the German Pinscher breed in Australia we need to breed carrier to clear dogs and clear to clear so the gene pool is not reduced unnecessarily. 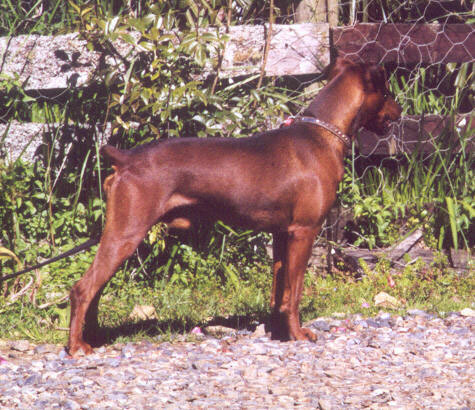 This prevents reducing bloodlines to only close relatives available for breeding. 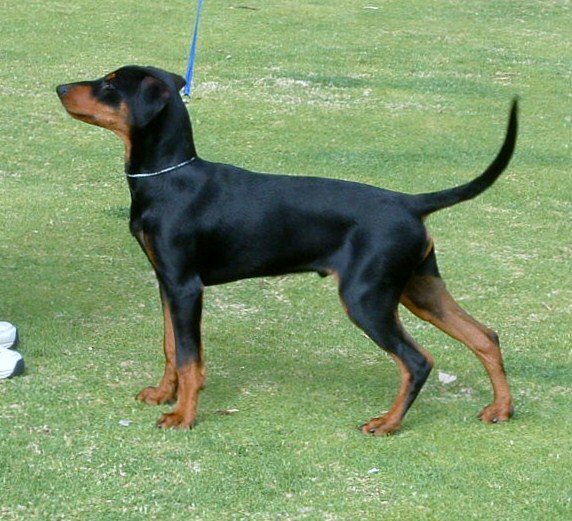 If you throw the baby out with the bath water so to speak you get an empty bath left, no baby - no German Pinscher's. 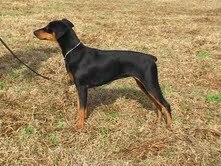 This is medically acceptable and causes no problems within both the German Pinscher and Dobermann breed. 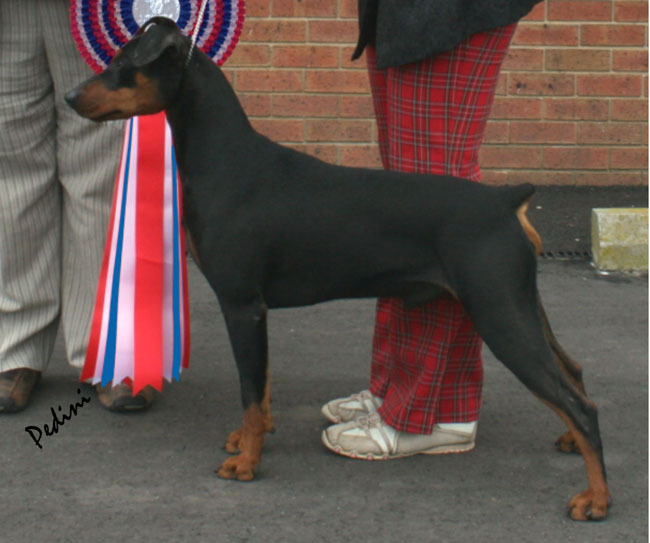 Incestuous breeding a breed because there only close relatives that are clear left to breed with cements major health issues such as hip/elbow problems, eyes and heart to contend with these are fatal problems in dogs not minor annoyances.. Anyone claiming to have clear in all health issues is dreaming. 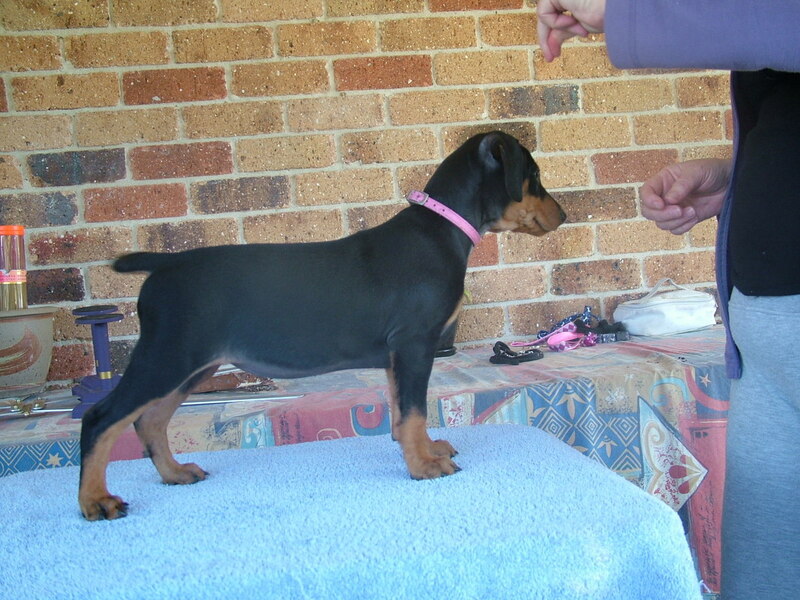 If you have a score for hips they are not clear just very good scores same for anything else-health wise. Testing was limited in 1996 when these tests were done. Willie is also cardio clear and thyroid clear. 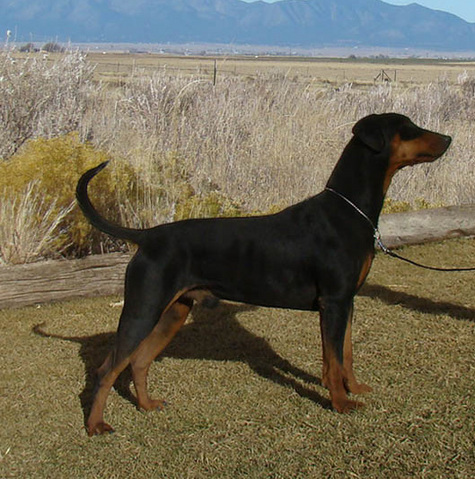 With a conscious mind at all times Masterkarn do tests that will enhance the health of the breed...Check out our hip and elbow scores, no heart or eye problems. 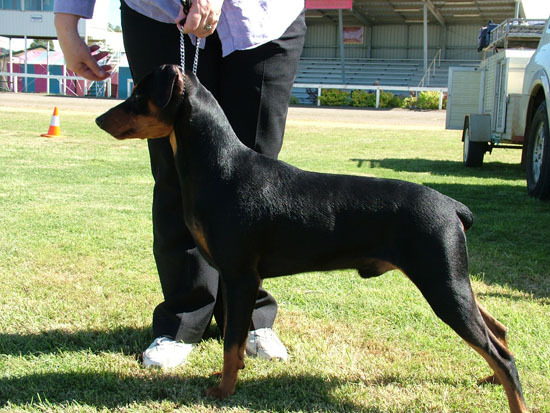 We only have carriers or clear vWD, no affected Vwd GP's in our breeding program. 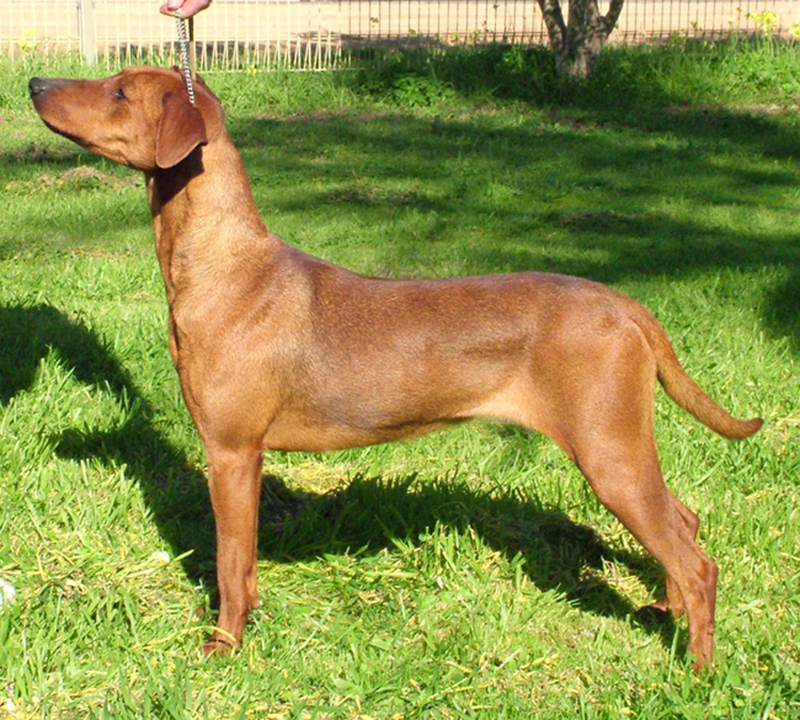 Click here for GP Health issuesand Health guide in the German Pinscher.